Most aquarium equpiment manufacturers don’t give their products much of a warranty these days, and you’ll be lucky to find a company that will fix or replace a broken item if it was purchased more than a year ago. And as luck would usually have it, the item breaks well after the warranty has expired, often leading to costly repairs. That it mind, it was a breath of fresh air to see a company stepping up to the plate to offer a huge warranty period on one of their products, a warranty that outlast those of everyone else ten fold. 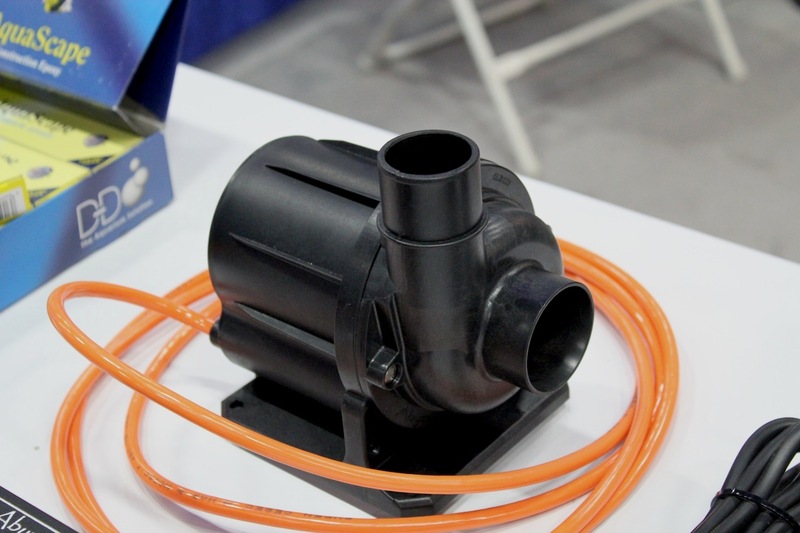 Abyzz, a high end water pump maker out of Germany, recently announced a “lifetime” guarantee on their A200 and A420 DC controlled water pumps. Before you go thinking the “lifetime” guarantee will last until you’re far too old to take care of your fish tank, think again. The warranty lasts a period of 10 years according to the fine print. Like with most warranties, the term “lifetime” is applied to the expected life span of the product. 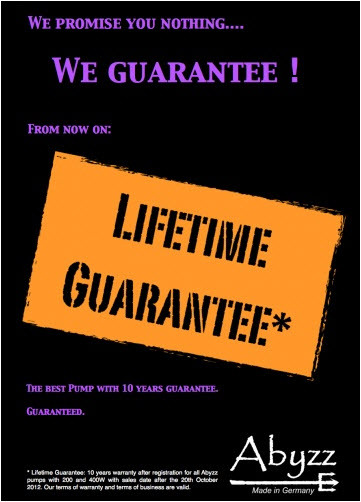 Either way, 10 years is a long time, and given the high volume of turnover in this hobby, the warranty will likely not expire for the pump’ original owner. We assume this warranty will be valid for US-based aquarium keepers, but it was only listed on the UK version of The Aquarium Solution’s website. That said, they have a US branch that they service as well and the pumps are readily available here.